Halloween is one of my favorite nights of the year. Particularly when it lands on a cool, windy evening and you can hear the leaves crunching and rustling underfoot as the children laugh up and down the sidewalks before shouting “trick or treat” at doorsteps. I enjoy the occasional whiffs through the air of burning pumpkin and the taste of the crispy Kit Kat that I inevitably steal from one of my daughters’ treat bags by the end of the night. What I do not enjoy about Halloween is the feeling of being scared. 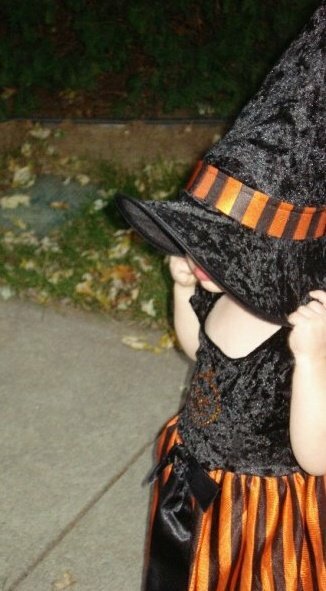 I would no more willingly walk into a haunted house to be terrorized than I would send one of my children out into a busy lane of traffic. I do not enjoy the feeling of total and complete vulnerability. I do not like the unknown or unseen. I do not like the uneasy feeling of not being able to plan for my future. Divorce may be one of the scariest life events for a person. Undeniably, at some point in the divorce process, a person will feel terrified. Whether it be from having to put in writing and fully disclose the status of their debt load, or whether it is not understanding words like “praecipe” or “subpoena,” or whether it is not knowing if they will spend Christmas with their child this year, going through a divorce is scary. Next to grief, fear may be the most prominent feeling during divorce. Fear can stunt progress and keep you stranded in depression. Managing our fear is an important part of parenting during divorce. When people are scared they usually revert into survival mode. They will react in one of the fight, flight or freeze responses to the divorce process happening around and to them. This oftentimes makes it challenging to discern or remember what their true intentions are or what their primary goals and most important outcomes may be. When fears creep up for you, ask your lawyer, your financial advisor, your counselor, your mother, or your best friend to help you brainstorm thoughts or actions to replace the fear which can paralyze you, make you combative, or lead to driven behaviors. Peeling away the layers will make the fear smaller and smaller. The paralysis will lessen and we will find ourselves with the ability to keep moving forward.